UPDATE 9:01AM: Police have now recovered a third handgun at the scene. It was lying between two homes in the 1100 block of Patterson. 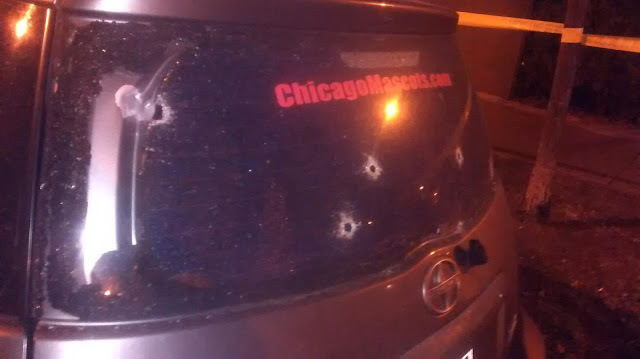 One man was shot as dozens of rounds were fired during a wild gunfight less than a block from Wrigley Field early Sunday. One shot was fired by police who were already on-scene handling a report of a large group making noise on the street. Two firearms were recovered. Three firearms have been recovered. Police chased several people who fled the shooting on foot. One individual was caught and is in custody for questioning. 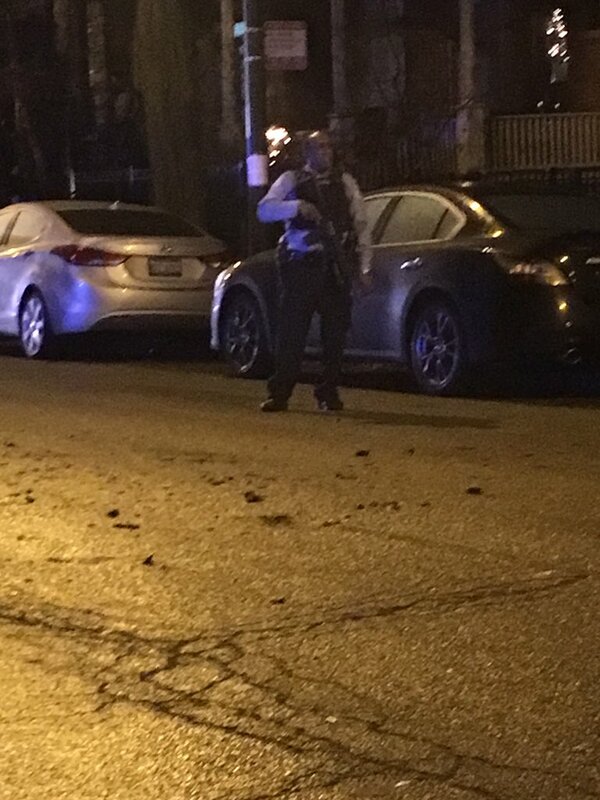 The shots rang out at 3:07AM near the intersection of Racine and Patterson in Wrigleyville. A witness told CWB that some individuals involved had been attending a party. A 26-year-old aspiring North Side rapper was shot in the left shoulder during the incident, according to a police source. 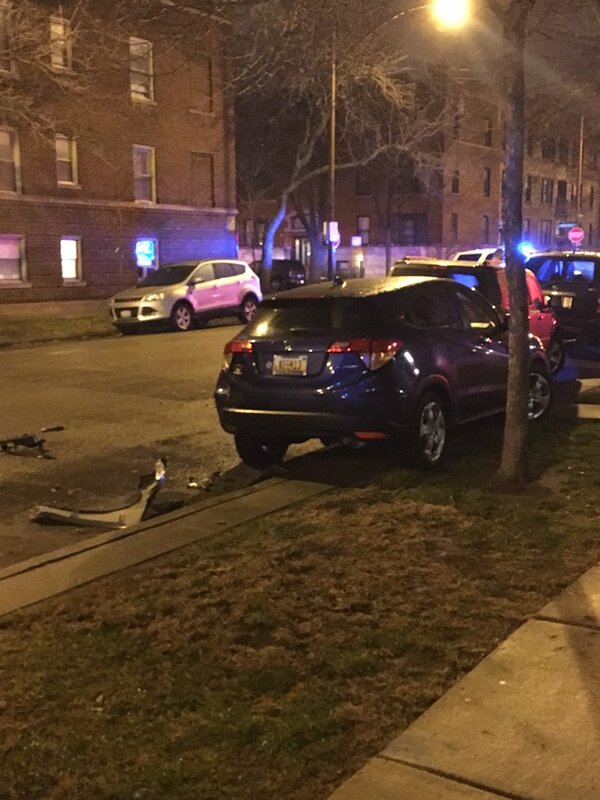 The man's brother drove him to St. Francis Hospital in Evanston where the victim's condition was stabilized. He remains there under police guard. Investigators have yet to determine who shot the man. CWB Chicago is withholding the man's name as he is not currently charged with a crime. Two cars fled the scene and one of the vehicles—a stolen 2006 Dodge Charger—lost its license plate as it crashed into parked cars. In an incredible stroke of luck, the Charger was located around 5 o’clock this morning in the 1400 block of W. Montrose by an officer who stopped at Dunkin’ Donuts on his way to work the security detail at Mayor Rahm Emanuel’s home in Lakeview. The car, with heavy front-end damage and a missing plate, was sitting right out front. No one was in the vehicle, but a witness reported that five “teens” left it there. Back at the shooting scene, police tape and evidence markers stretched the length of a city block as officers put together a description of one gunman: a skinny black male who stands about 5’7” tall wearing blue jeans and a black hoodie. 19th district supervisors have ordered officers to conduct a “post-shooting mission” in the area west of Wrigley Field and in Uptown today. You can support CWB Chicago's newsgathering efforts with a donation to our tip jar.